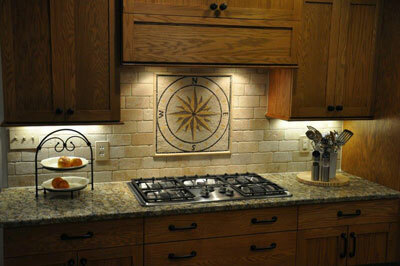 Installing a mosaic backsplash in your kitchen can totally change the mood of your space. 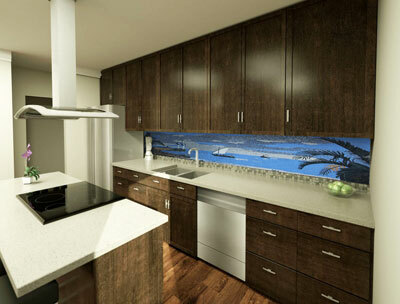 Start by choosing colors and patterns that complement your kitchen’s décor and style. The mosaic tiles you pick should highlight your theme, whether modern or traditional, classic or funky. The more you can afford adding mosaic tiles to your space, the nicer the effect would be. If you can extend the backsplash all the way above your stove, or continue it to the ceiling, you’d be definitely investing in a beautiful work of continuous mosaic backsplash. 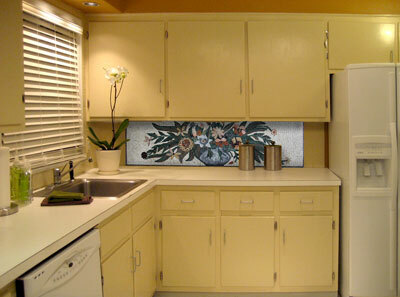 Your backsplash mosaic can be created with ceramic, glass or marble tiles. When you choose the material, you’re left with the choice of colors and shapes. 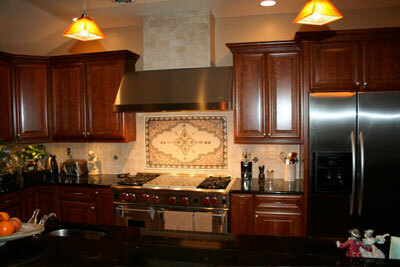 It is always preferable to choose a color that matches the overall theme of your kitchen. Usually, when your kitchen’s style is classic and simple, it’s always better to go for neutral colors like beige, cream and white. A contemporary style requires more daring colors. 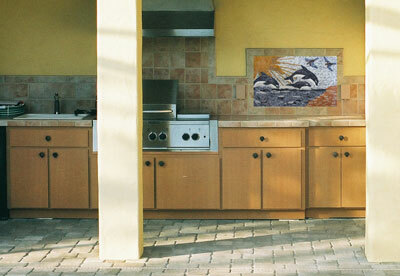 Whatever you decide to go with, mosaic is always a great idea to add a nice artistic touch to your kitchen.